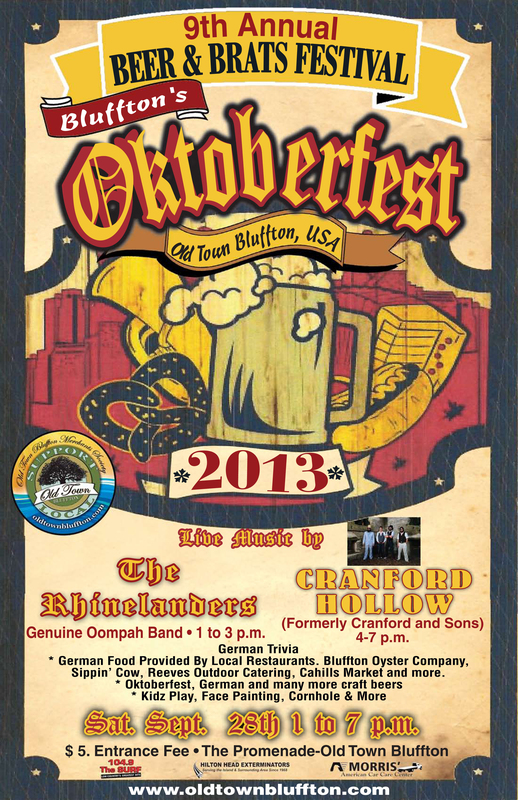 Get over to the Calhoun Street Promenade in Old Town Bluffton today from 1-7 for an afternoon of great German Food, over 30 kinds of beer, German Wines and fun! Live Music , Local Artists, Corn Hole and Kidz Play will be there for a variety of Family Fun! Burgers and Brews Festival! — Attend the 2013 Outdoor Public Art Exhibition!